The TW7 postcode covers the area of Isleworth and Osterley. It is covered by the Hounslow Council Authority and it will rank amongst the nicest parts of Sout-West London. It neighbours on Hanwell in the North, Hounslow in the West, Twickenham in the South and Richmond in the West. It is relatively well connected with the Isleworth and Syon Lane stations providing access to the South Western Railway. Trains from here run both to Central London and out of the capital towards the South Western part of England. The Oesterley tube station in the North Western part of TW7 also connects this postcode with other parts of London. It allows the locals to use the Piccadilly line services that run through transport hubs like King's Cross, important cultural hubs like Green Park or South Kensington all the way up to Cockfosters in the North. There is also a number of bus lines running through TW7 as well as Boats on the Thames making sure that the locals are not completely dependent on the a single tube line and train line. TW7 covers a large area with a variety of places. It has many green areas and parks within it's borders. If we start in the Northern part of the postcode we'll find Osterley Park and Osterley House which is a National Trust-run country estate from the 18th century with amazing gardens, woodland trails and parks. Within a stones throw from Osterley House we'll find Conquest Club, Thornbury Park, Jersey Gardens, Ridgeway Road North Park and other smaller parks and sports fields. Right outside the TW7 border we can find large green spaces like Ethrone Park, London Playing Fiels, Boston Manor Park, Glade Lane Canalside Park and others. As you can see the amount of ground covered by Woodlands, Parks and gardens in this area is considerably higher than the London average. Considering this fact and the easy access to the Piccadilly Line through the above mentioned Osterley Tube Station real estate in this area is very sought after. Most of the homes here are detached and semi-detached homes with an occasional street lined by Victorian Terraced Houses. If we move South from the part of TW7 we have just discussed we'll find ourselves closer to the river Thames. Syon Park, Kew Gardens and the Richmond Athletic Grounds with the King's Observatory are right on the border of the postcode or here. 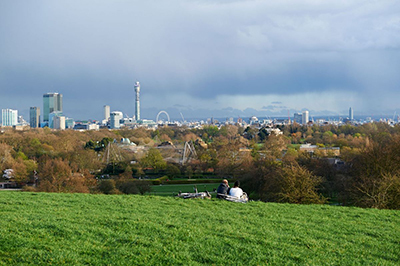 Given the proximity to the river and the easy access to some of the most amazing Parks in London this is another area with high value real estate. Isleworth provides us with a variety of the types of households and properties we can target with leaflet distribution here. There are some affluent areas with town houses and large detached properties as well as rows of terraced homes. One thing most parts of TW7 have in common is the fact that deliveries can be done very easily with only very few confusing winding streets and an occasional industrial estate. The few challenging parts of the postcode are taken care of by our carefully designed mapping system that allows both our distributors to make deliveries effectively and our customers to select the exact area they want to target with their leaflet distribution campaigns. Since there are still some delineations to be made when it comes to specific demographics that can be targeted in TW7 a good mapping system is still very important here. We have taken every postcode in London and broken it down to areas of approximately 5000 leaflets. These areas are either homogeneous in terms of demographics that can be found within them or the types of properties we will deliver to. Isleworth is no exception to this. The ability to select exactly what area and what type of demographic one wants to target with their leafleting campaign can really affect the impact of said distribution. On top of this we provide free design consultation to all our clients. We generally recommend that the client sends us a file with the final design for their leaflets if they've not yet been printed. We can then provide in depth feedback on potential areas of improvement. There are specific things we look for in a design when we talk about leaflet distribution. Even great graphic designers might not have the kind of training and experience that our team does when it comes to recognizing what will work in the context of leaflet distribution and what aspects of the design might be either too complicated or nuanced when printed on a leaflet. This might vary by the area that the client is looking to distribute in. South Kensington will need a different king of design compared to areas in East London and people local to Richmond will expect a different looking leaflet to households in NW10. All of the above mentioned services focus on processes pre-distribution or while the leaflet distribution is taking place. We also make sure to provide all our clients with GPS files showing exactly where the leaflets have been distributed. These files are very high resolution and show the distributor walking up to each individual house. Every client receives these files after each group of 5000 leaflets has been fully delivered to. These files are also screened by our team in the head office and any potential issues are highlighted and escalated if necessary. This is one of the ways we check the effectiveness and thoroughness of our distributors. Since we do these checks daily on dozens of people we know what to look for and all the shortcuts one can take. These GPS files will also act as a proof of delivery for you. This GPS system is especially helpful when used in combination with our live tracking Mercury System that inform you in real time where and when your leaflets are being distributed every day. With this information you can come see your leaflets being delivered in real time without us knowing and you can then retrospectively go through the GPS files to see any detail of the distribution you might be interested in. The live tracking Mercury System is one of the innovations we brought into the leaflet distribution business in the last few years. It provides our clients with live updates on exactly how their campaigns are progressing with every delivery. It is closely tied to the way our mapping system works. We map out each London postcode into smaller areas of approximately 5000 leaflets. These are generally quite uniform when it comes to demographics and types of properties. We call this kind of map a Group and we number them. (i.e. Group 105). We then break down each individual group to smaller areas of 800-1000 leaflet we call Walks. We also code these with letters A-Z. A Walk code in this format will then look like this G105A. This code points to Group 105 and the walk A within it. You will receive a message to your phone or email address any time one of our Private Postmen starts distributing with a Walk code they are working with together with the street name they started their deliveries on. This allows for you to come check your leaflets being delivered in real time anytime you want without us being informed. On top of this you can also see how your campaign is progressing and exactly how much ground has been covered at any point in time. Each part of London will require an individual approach when planning a leaflet distribution campaign. Some postcodes in central London require very rigorous mapping as mentioned above due to the sheer density of properties. Some more remote areas require good breakdowns to avoid wasting any leaflets by delivering to households that are not going to be interested in your products or services. London is one of the most challenging areas in the UK to plan, execute and track a leaflet distribution campaign. That is exactly why working with a company like The Private Postman is crucial when trying to get the most out of your marketing budget. We have gone through great lengths to develop a deep understanding of the business and terrain in the largest and most diverse city in the UK. That way we can make sure to run the most cost efficient leaflet distribution campaigns in London while guiding you all the way through the process from fleshing out the design concept to reaching all the households in your area with a physical leaflet going through the letterbox.